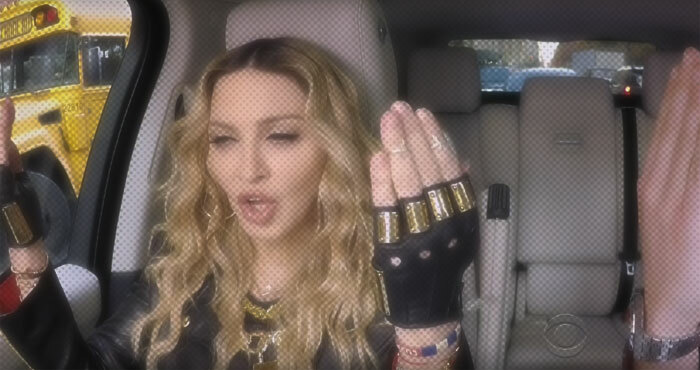 Anyone want to watch Madonna's Carpool Karaoke session? I don't, so I won't. I'm too hungover and too damn tired to stand for James Corden's shtick and (please don't call me) Madges' attention seeking antics. Granted, this could be a simple sing and drive scenario, but knowing the Diva, she's going to want to be extra and I can't stomach that right now. For those of you who can, enjoy Madonna's ride on the The Late Late Show's Carpool Karaoke.